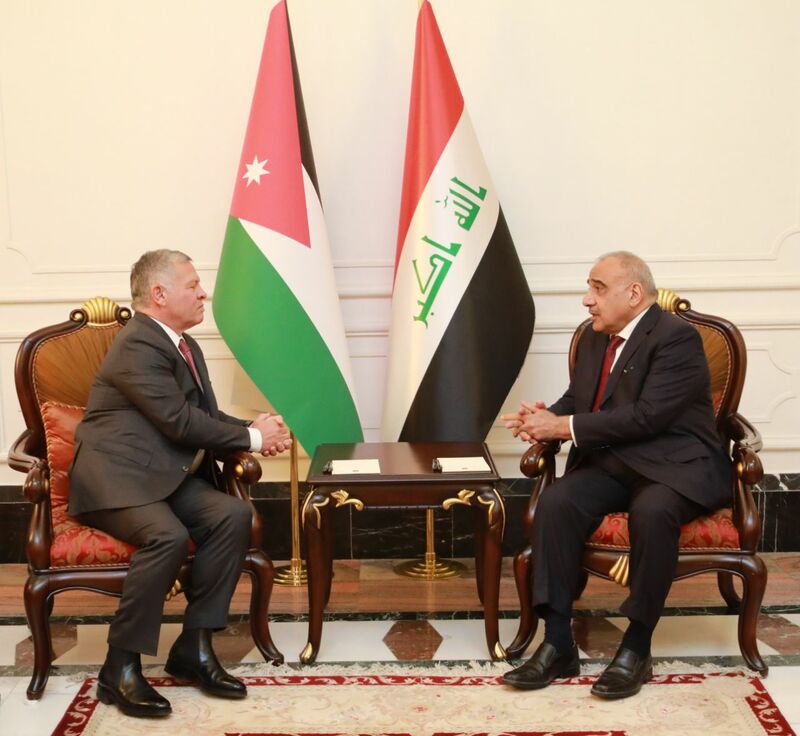 His Excellency Prime Minister Adil Abd Al-Mahdi received His Majesty the King of the Hashemite Kingdom of Jordan Abdullah II, who arrived in Baghdad on an official visit. His Excellency Prime Minister and the King of the Hashemite Kingdom of Jordan held a joint meeting in which they address the bilateral issues between the two countries, the regional situation, the importance of uniting the rhetoric especially to stop the deterioration, escalation witnessed by the countries of the region, to protect the Palestinian cause and defend Al-Quds, Followed by a joint meeting attended by members of the Iraqi and Jordanian delegations during which they discussed the development of relations of cooperation between the two neighboring countries, Exchanging views on issues of common interest and the importance of achieving stability for the peoples of the region, undersocring the implementation of the results of the official talks held in Baghdad under His Excellency Prime Minister and his Jordanian counterpart that included of agreements in various fields. His Excellency Prime Minister had received the King's in an official reception at the government palace during which anthem of the royal and the republican played as well as inspection of the guard of honor.